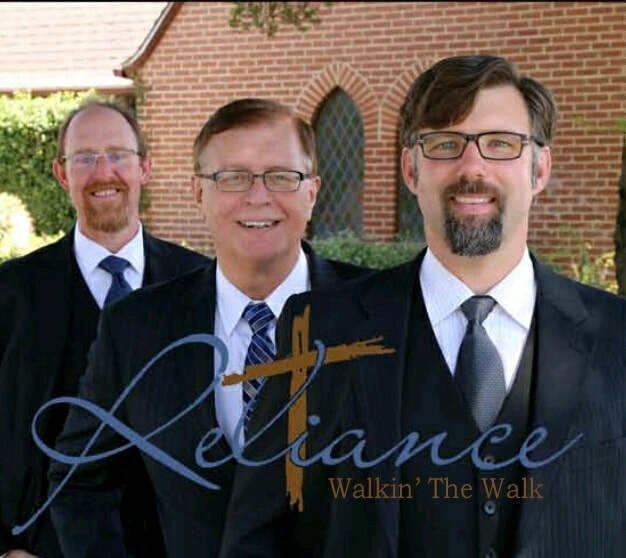 Reliance is a trio of talented men who have dedicated their lives to sharing the Gospel. Reliance is and has always been ministry focused. Each of these men knows Christ as their personal savior and they all have extensive singing and music ministry experience. They present an exciting program filled with inspiration, encouragement and joy. They travel all across America in concert venues and in church services. We would love to bring our music and joy to your church or event. If you would like information about how to schedule Reliance, please call Sharon Hurley at 559.974.2397 or Ken Hurley at 559.261.1672. May be purchased by clicking on the CD's Page at the top of the screen.